Dogs are very welcome in the bar and garden at The Beehive; however, we do not allow dogs into our restaurant. Do you provide wheelchair access and facilities? There is disabled parking right outside the front door of The Beehive. Wheelchair access is through two doors at the front of the restaurant. We have a disabled restroom. Do you provide a baby changing area? Yes, this is located in the disabled restroom. There is plenty of space in The Beehive gardens for pushchairs if the weather permits you to enjoy sitting outside. We regret that we cannot accommodate pushchairs inside due to lack of space. We do provide highchairs. Yes – see a sample menu on ‘Our food’ page. We do our best to cater for anyone with specific dietary requirements. Please inform us when making your booking, or on arrival, of any food allergies or intolerances, including the severity. Please be advised that we cannot guarantee possible allergen cross-contamination. Can you provide vegetarian/vegan options? The chef at The Beehive will cater for both. Please advise us when booking if you require a vegan menu as we would need some advance warning, and would then suggest some options prior to you dining with us. Yes, our chef would be delighted to make a cake for your special occasion; please call us to discuss. Gluten free cakes can also be provided. Can I get wifi at The Beehive? Yes, The Beehive provides wifi access. 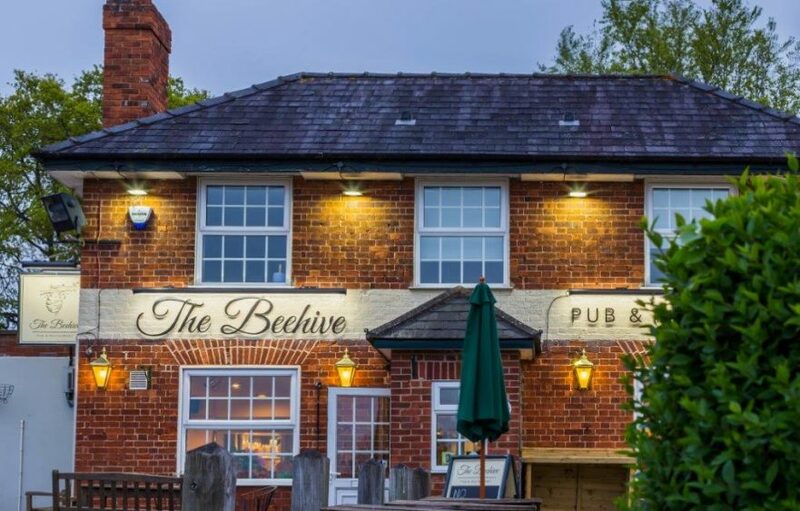 Is The Beehive available for private parties?